Doordarshan desire that more than one STB manufactures can sell their STB in Indian market with Doordarshan approved CAS and Firmware so that Doordarshan can count total number of viewers and control look and feel in all STB marketed in India. All software licenses are to be given to Doordarshan on perpetual basis without specifying any time limit or without specifying any end of life of software. Any up-gradation of software will be given to Doordarshan without any additional cost during period of warranty starting from the date of commissioning. The offer shall include supply, installation, testing, commissioning and Operation & Maintenance of Hardware, software Firmware & works related to new registration and reactivation of STBs of the viewers. 1. Secure Over The Air (OTA) software down loader to STBs. (a) Offered CAS system should support Secure over the Air (OTA) software down loader to STBs in Conjunction with the STB and Firmware/Middleware vendors. (b) A remote secure software download mechanism must be present to update software/ replace security into the STB or smart card (if applicable). (d) It should not be possible to alter the boot process nor to run pirate software on the STB (or the smartcard, if applicable). 2. CAS System should have unique Hardware ID feature for each STBs which cannot be changed. 3. A reliable redundancy mechanism must be available for all critical components including backup and restore procedures. 4. It should be scalable by mere addition of hardware, CPU, memory capacity and extension of license as the platform grows in terms of channels, transponders, products or subscribers. 5. It should have tools to monitor the activities and status of all system components such as ECM, EMM injectors etc. Alarms should be generated for alerting operators of all abnormalities. 6. In order to control bandwidth, security and performance of the platform, priority and duration of broadcast shall be configurable for the different EMM types. 7. The secure path used to send EMM shall allow encrypted data to be sent to STBs for instance to tune on a particular channel or to display a picture or message. a. The finger printing should not be removable by pressing any key on the remote. b. The fingerprinting should be on the top most layer of video. c. List of all active view as on a specified date. d. Total no of active viewer’s as on a specified date. e. List of existing viewers due for reactivation in next one month or any other given period. f. List of existing viewers who have renewed after expiry within one month or any other given period. g. List of viewers who have newly registered in last one month or any other given period. c. Acknowledgement of new registration request. d. Facility to send Global, Group and individual messaging. 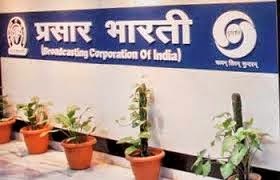 d) Doordarshan will have a right to add or alter any information field to capture viewer related data at anytime. e) It should be possible to integrate SMS & CAS for activation and deactivation through mobile SMS (Short Messaging Service). f) Subscriber Management System (SMS) or Billing and Customer Care (BCC) system should be capable of generation and archival of log for all activation and deactivation up to 2 years. Provide backup of full database on DVD on monthly basis. g) Subscriber Management System should be able to send feedback through mobile SMS (Short Messaging Service), Telephone, or Web / email, to viewer. I was always thinking about this since the started advertising about Sirf unhi Channel ke paise day jo app Dekhna chate hai. But things took a Big U turn on the packages. Once the CAS will be implemented the we can pay to only the channels we want to view.